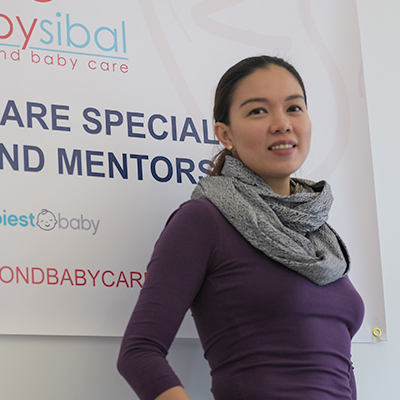 Beyond Baby Care’s comprehensive training (which includes classroom, theories and hands-on/mentorship program) is highly recommended in order to provide an exemplary care to babies and their families during the postpartum phase. Since we are usually the parents’ initial source of information on everything about babies, NCS and Baby Nurses are expected to have the best of knowledge in all areas of basic newborn care and understand the importance of feeding, sleeping, caring and supporting families during this time. Without proper skills and training, babies may be put at risk in developing hard to break habits like poor eating and sleeping patterns. 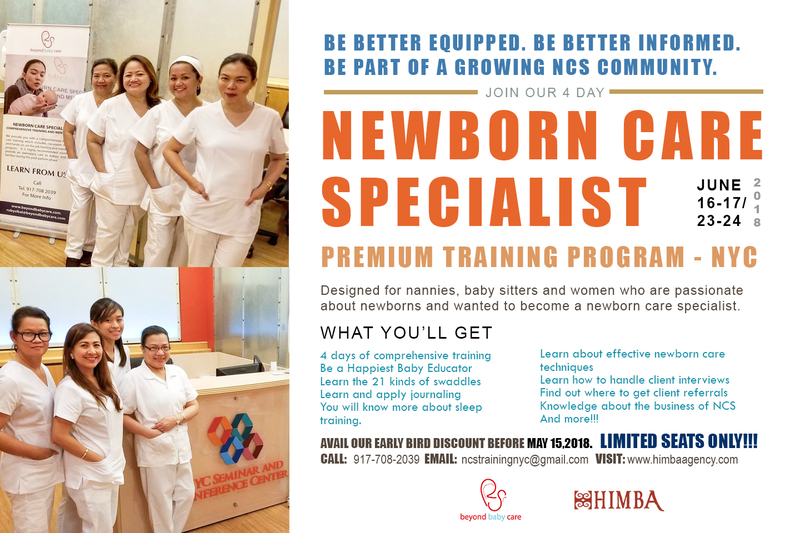 To become a Certified Newborn Care Specialist of Beyond Baby Care, you need to be willing to undergo a comprehensive classroom and hands-on training, passionate and possess an unconditional love for babies; comfortable living with the clients for weeks or months; be a Certified Happiest Baby Educator; had a previous experience as Babysitters, Nannies, LPN’s, RN’s, CNA’s, EMT’s, Daycare Providers, Preschool Teachers, Doulas or individuals with Child Development backgrounds. Now are you ready to get trained by an Infant Care Expert?